This book deals with the seminal surrealist. It explores Dali’s grandiose and grotesque oeuvre. Picasso called Dali «an outboard motor that’s always running.» Dali thought himself a genius with a right to indulge in whatever lunacy popped into his head. Painter, sculptor, writer, and filmmaker, Salvador Dali (1904-1989) was one of the century’s greatest exhibitionists and eccentrics – and was rewarded with fierce controversy wherever he went. He was one of the first to apply the insights of Sigmund Freud and psychoanalysis to the art of painting, approaching the subconscious with extraordinary sensitivity and imagination. 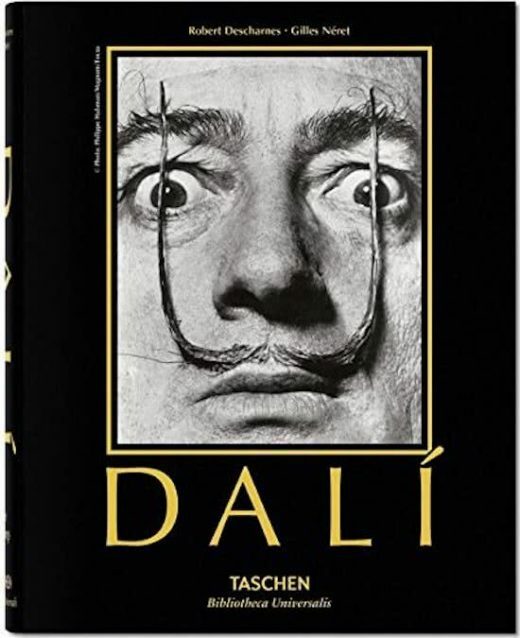 This publication presents the entire painted oeuvre of Salvador Dali. After many years of research, Robert Descharnes and Gilles Neret finally located all the paintings of this highly prolific artist. Many of the works had been inaccessible for years – in fact so many that almost half the illustrations in this book had rarely been seen.